On 8 November 2011 at 21:16 CET (02:16 on 9 November, local time) the Russian Phobos-Grunt (Phobos Soil) spacecraft began its journey to Mars on board a Zenit-2 rocket that lifted off from the Baikonur Cosmodrome in Kazakhstan. The DLR-operated High Resolution Stereo Camera (HRSC) on board ESA's Mars Express spacecraft acquired images of the martian moon Phobos on 9 January 2011. This image has a resolution of 8.2 metres per pixel, acquired during orbit 8974. The ellipses mark the previously planned (red) and currently planned (blue) landing sites for the Russian Phobos-Grunt (Phobos-Soil) mission. As a joint undertaking by DLR, ESA and FU Berlin, the Mars Express HRSC images are published under a Creative Commons licence since December 2014: ESA/DLR/FU Berlin, CC BY-SA 3.0 IGO. This licence will also apply to all HRSC images released to date. This artist's impression shows Phobos-Grunt as it passes Mars en route to Phobos. 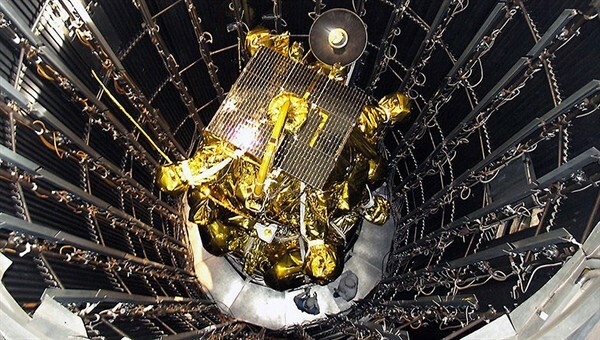 Before being launched, the Russian Phobos-Grunt was subjected to numerous tests in the vacuum chamber of the Russian NPO Lavochkin aerospace company. 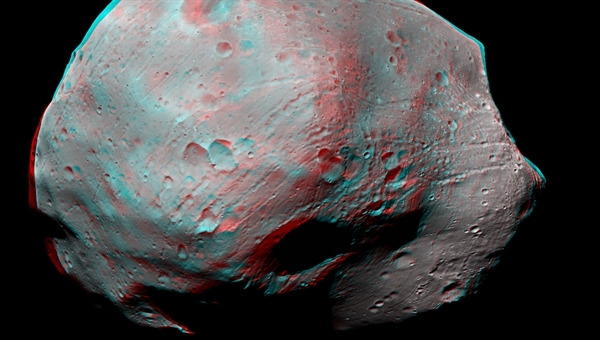 This 3D anaglyph image was generated from a combination of the nadir (vertical view) and one of the four stereo channels of the HRSC. Use red-blue or red-green glasses to obtain a 3-D impression of the landscape. This image was acquired on 9 January 2011 at a distance of 100 kilometres from Phobos with a resolution of 8.1 metres per pixel during orbit 8974. Due to the stereo viewing geometry during the flyby a small part of the moon's edge is only visible to the right eye, resulting in odd 3D-perception in this area. This part has been slightly adjusted for better viewing. Also, for the left eye at the left edge of the image four small data gaps have been interpolated. The DLR-operated High Resolution Stereo Camera (HRSC) on board ESA's Mars Express spacecraft acquired images of Phobos on 9 January 2011. Seven images acquired by the Super Resolution Channel (SRC), with a resolution of about three metres per pixel, are superimposed on the HRSC nadir channel image. 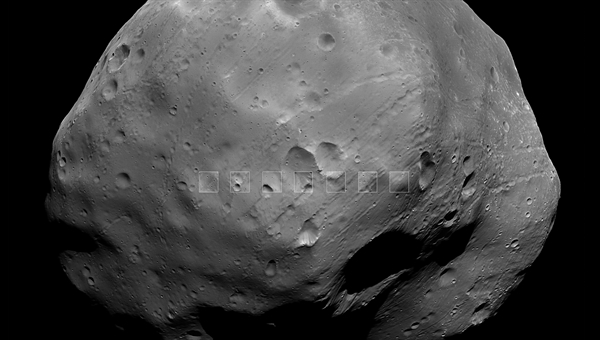 The SRC images show greater detail of the surface of Phobos. Update: 9 November 2011 – After a successful launch, Phobos-Grunt has not achieved the planned trajectory that would have put the spacecraft on a course to Mars. According to the Russian space agency, Roscosmos, the cause may be a hardware failure or a software error in the propulsion unit. A solution to the problem is being worked on. Phobos-Grunt is currently in Earth orbit. On 8 November at 21:16 CET (02:16 on 9 November, local time) the Russian Phobos-Grunt (Phobos Soil) spacecraft began its journey to Mars on board a Zenit-2 rocket that lifted off from the Baikonur Cosmodrome in Kazakhstan. The spacecraft is expected to land on the Martian moon Phobos in February 2013, where it will collect samples of the surface and return these to Earth in a capsule in August 2014. 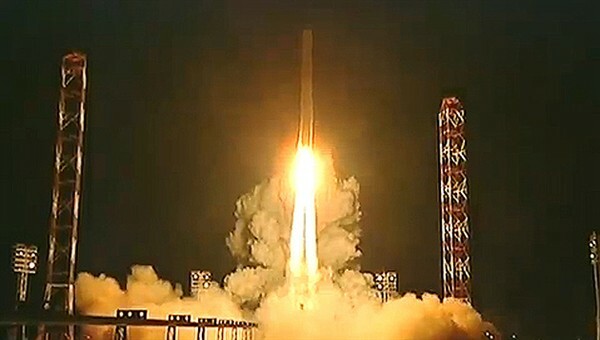 Phobos-Grunt is the first Russian spacecraft to be launched beyond Earth's orbit since 1996. Researchers from the German Aerospace Center (Deutsches Zentrum für Luft- und Raumfahrt; DLR) are also participating in the mission. Planetary researcher Jürgen Oberst's Berlin-based team has been intensively studying both Mars and the larger of its two moons, Phobos, for some time now. Phobos orbits the Red Planet in 7.6 hours at an altitude of 6000 kilometres. The main source of data so far has been the DLR-operated High Resolution Stereo Camera (HRSC) on board ESA's Mars Express spacecraft. The images have allowed the DLR planetary researchers to refine their knowledge of the moon's hitherto inexactly determined orbit. The data collated in recent years has allowed this geologically extraordinary body to be precisely mapped and surveyed, and has formed the basis of the new cartography for the Phobos-Grunt mission. Also on board the spacecraft is the Chinese Yinghuo-1 (Firefly-1) satellite. It is 'piggy-backing' its way to Mars, where it will spend one year measuring Mar’s gravitational field. Phobos-Grunt also has its sights firmly set on the Martian environment; it has 15 instruments on board, including several cameras and spectrometers and a radar system. "Before Phobos-Grunt touches down, the intended landing site on the Mars-facing side of Phobos will be precisely surveyed once again. To do this, the spacecraft will first follow the moon in its orbit around Mars. There will be just 40 minutes in which to carry out the landing procedure itself. Lasers, radars and cameras will be used to guide the landing system in this complex manoeuvre," explains Oberst. This leaves just 17 minutes to collect the samples using the robotic arm. "We only have this short window that guarantees the landing site is well lit and contact with Earth is maintained at the same time. The return capsule, containing roughly 200 grams of sample material, will lift off from the surface and begin its return journey to Earth," the expert explains. The landing module, equipped with multiple scientific instruments, will continue to work on the surface of Phobos and send back measurement data for another year. For Jürgen Oberst, the Phobos-Grunt mission is not only of great scientific interest, but is also a personal turning point. As the head of the newly founded MIIGAik Extraterrestrial Laboratory (MExLab) at the Moscow State University of Geodesy and Cartography (MIIGAiK), the 56-year-old scientist will be working in the Russian capital on a regular basis during the course of the mission. MExLab involves 40 researchers and, among other things, will be collecting and cartographically processing the data from the Phobos-Grunt mission. Construction of the research laboratory was enabled by winning a tender for 150 million roubles (around 3.75 million euros) from the Ministry of Education and Science of the Russian Federation, which is available to the project between 2010 and 2012. Added to this is a grant from the Helmholtz Association of German Research Centres, which promotes exchanges with Russian scientists. "This is a unique opportunity," says Jürgen Oberst enthusiastically when speaking about his new job. He will be commuting between Moscow and Berlin. The DLR scientist also heads a team of international experts that meet every year at the International Space Science Institute in Bern and also support the newly formed Helmholtz Russia Joint Research Group 'Geodesy, Cartography, and Exploration of Phobos and Deimos'. 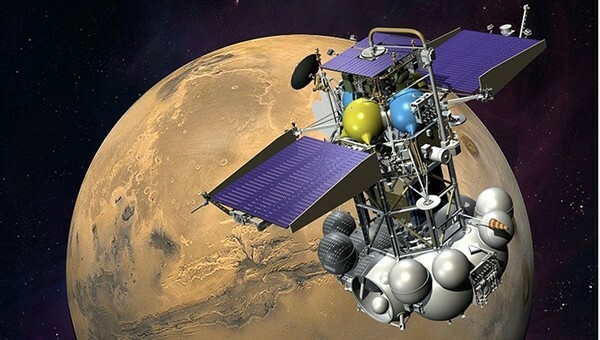 MIMOS II, a miniaturised Mössbauer spectrometer developed for the Martian satellites by the Institute for Inorganic and Analytical Chemistry at the University of Mainz, is flying on Phobos-Grunt. The instrument was developed and built under the leadership of Göstar Klingelhöfer with financial support from the DLR Space Administration. This instrument will examine the chemical composition of rocks on Phobos. Note: An earlier version of this article was titled ‘Russian spacecraft on its way to Phobos’. This has been modified to reflect the update added at the beginning of the story.